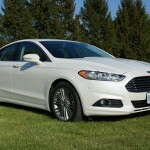 The family sedan segment is a hard cookie to crack as it is over saturated and competition is steep. To be able to stand out, a radical approach is definitely required. 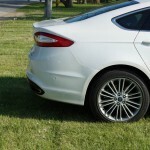 Ford realized that and based on its Kinetic Design theme, released the all-new 2013 Fusion. The Mazda derived CD3 platform has been dropped and instead, the new car is based on the new CD4 platform designed by Ford Europe. 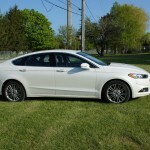 The 2013 Fusion borrows stylistic elements from Aston Martin and Jaguar to make the big bang in the market. 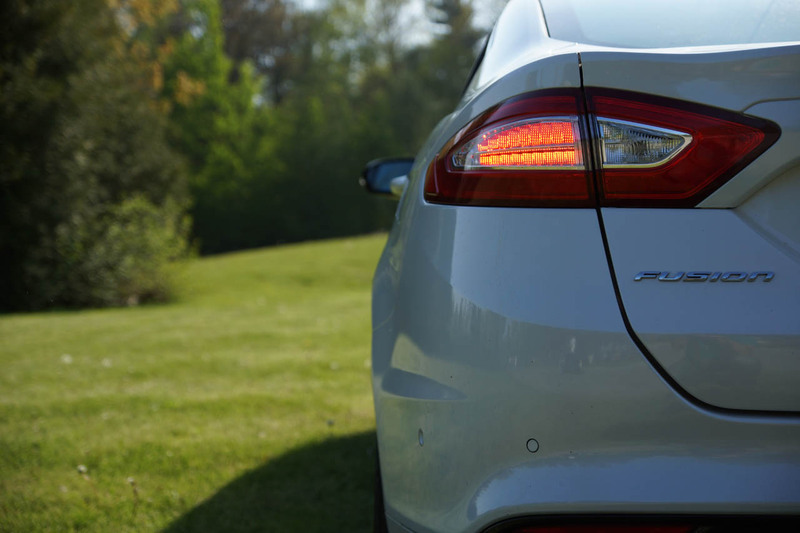 The front grille and elongated headlights resemble a vehicle that normally should be driven by Bond, James Bond, and the rear looks like it belongs to some modern day Jaguar. 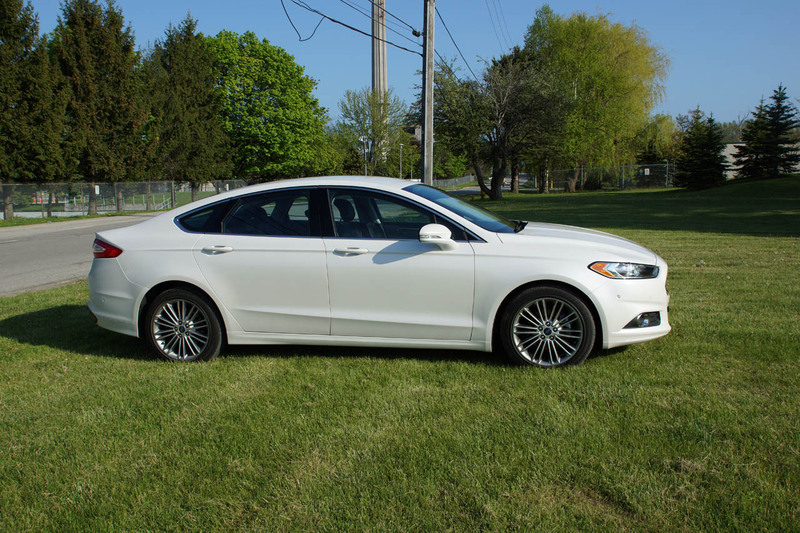 All available engines are 4-cylinder with eco-friendly temperament. 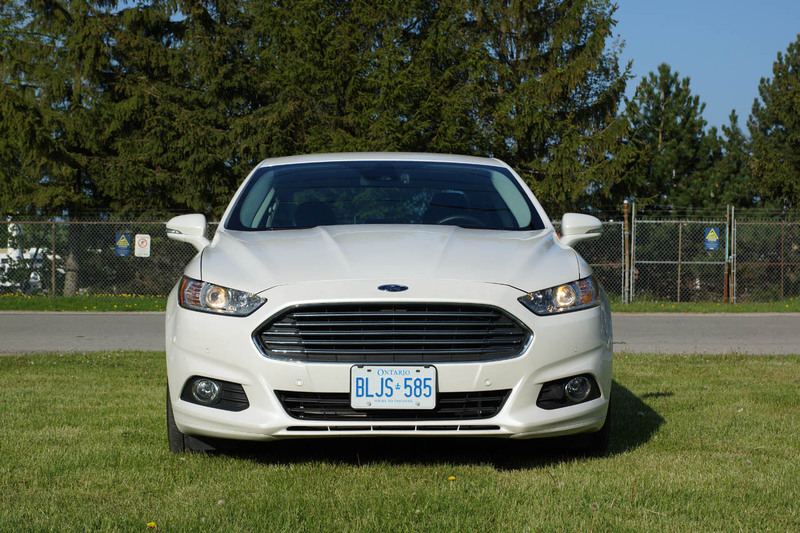 The base model comes with a 2.5lt Duratec engine rated at 170bhp, a step up from that is the 1.6lt EcoBoost rated at 178bhp and the top of the range, like our test vehicle, is a 2.0lt EcoBoost rated at 240bhp which is also available with AWD. 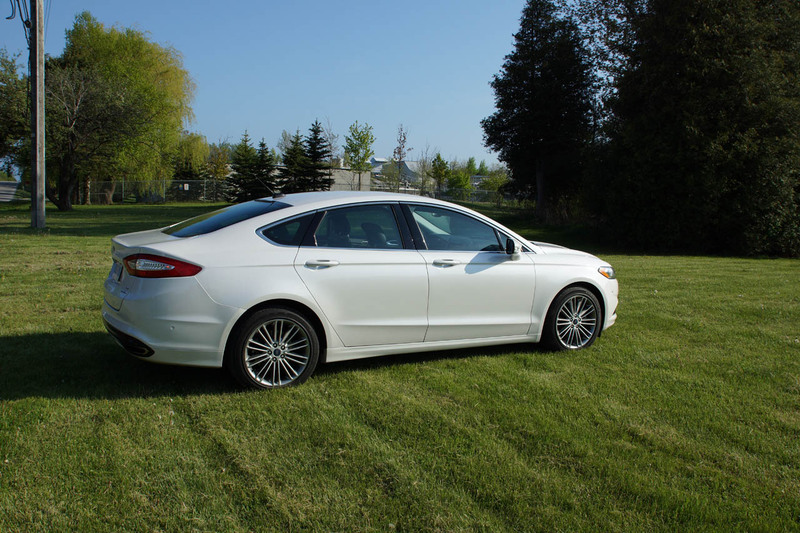 The hybrid and plug-in hybrid complete the line-up. The interior design is a continuation to the radical approach to stand out from the crowd and the efforts have really paid off. The a-pillars are angled like they would be in a coupe and the seats hold your body sports-car-style. 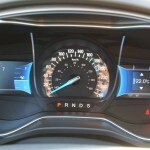 The instrument panel is the epitome of modern. 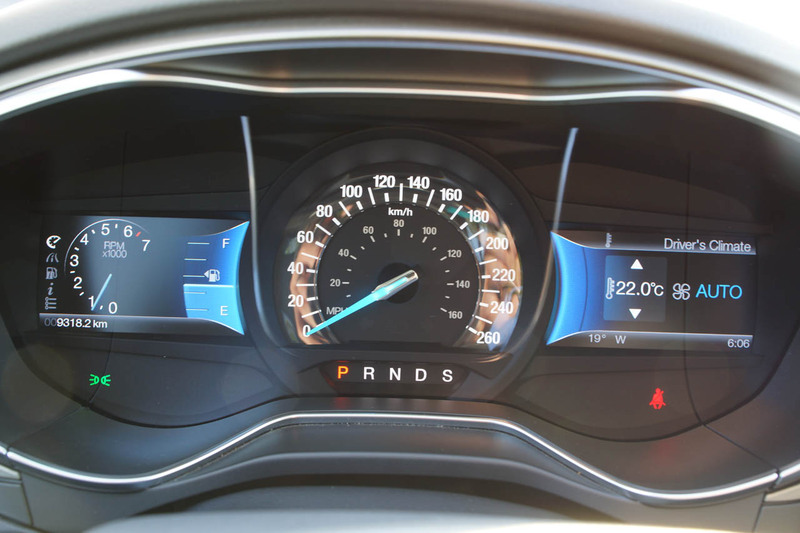 There is an analog speedometer in the middle, which is the only connection to the past and on either side of it, LCD screens have been placed that are fully customisable as of what to display. 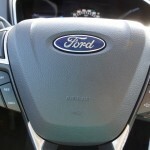 The centre console hosts a well sized LCD display for the Ford Sync system. You can control the phone integration, Climate control, Audio system and navigation in a very intuitive quad split screen. 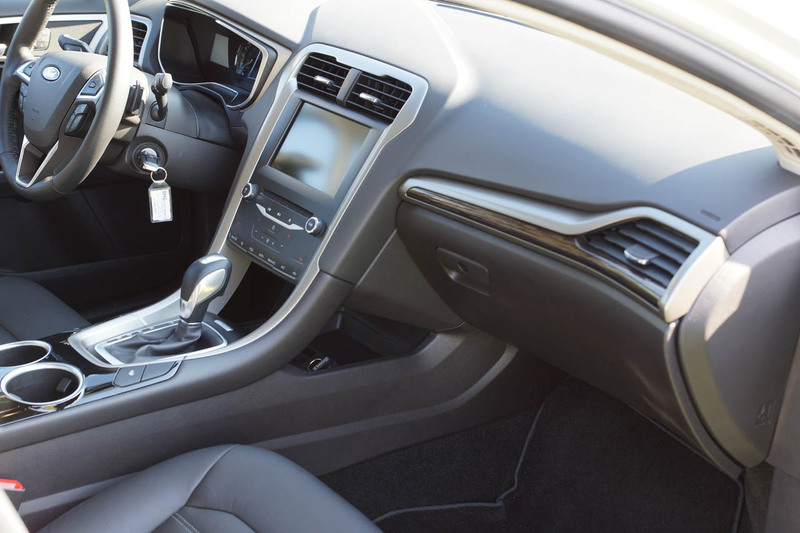 The dashboard is trimmed with soft to the touch material which reaches all the way to the back while the fit and finish are excellent. 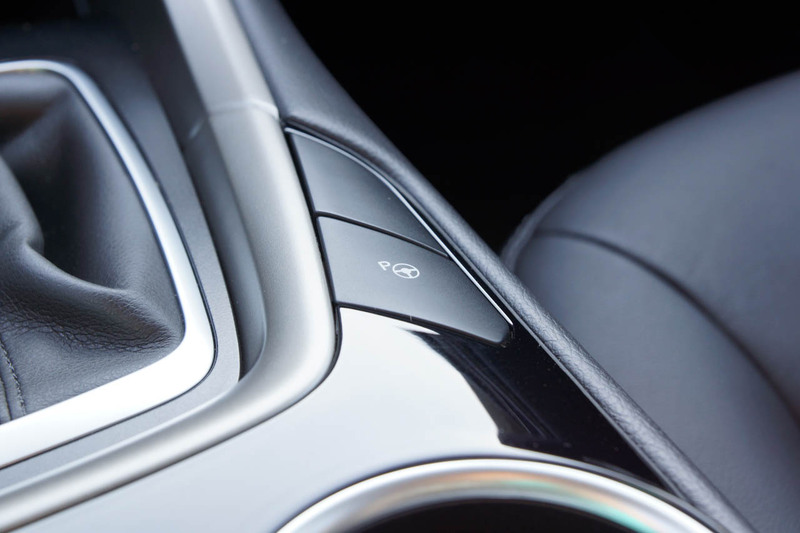 Touch instead of push buttons have been used on the centre console and overall the cabin feels really upscale. 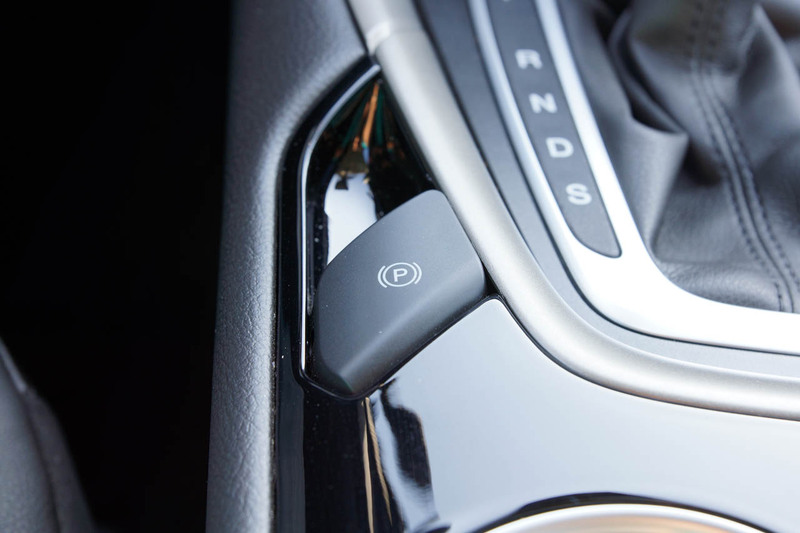 The driving position is very sporty and finding your ideal location is easy thanks to the plenty adjustments for both seat and steering wheel. The front seats are fantastic and side support is the best in class while the thin form factor helps create more legroom in the back. 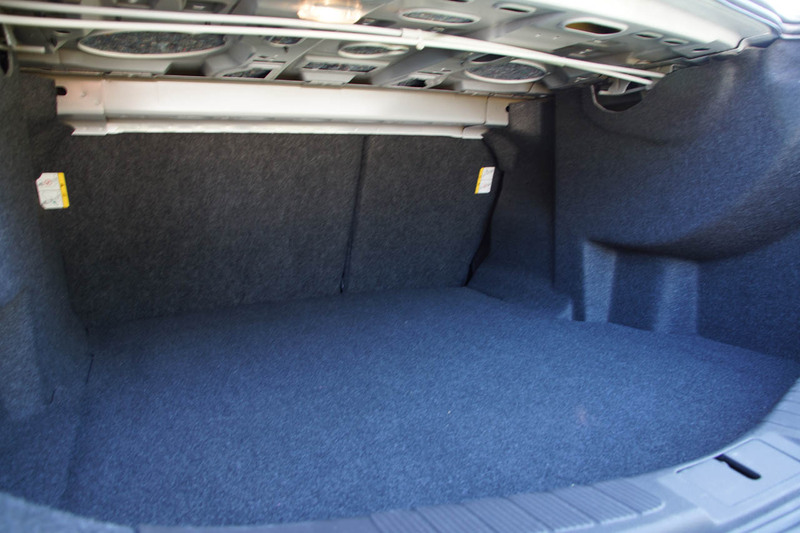 Three passengers can be accommodated in the rear with little compromise and the cargo area at 453lt is more than enough for the luggage of five for a weekend excursion. Even though it feels like you are driving a sporty coupe, visibility is good and getting comfortable with it is just a matter of minutes. 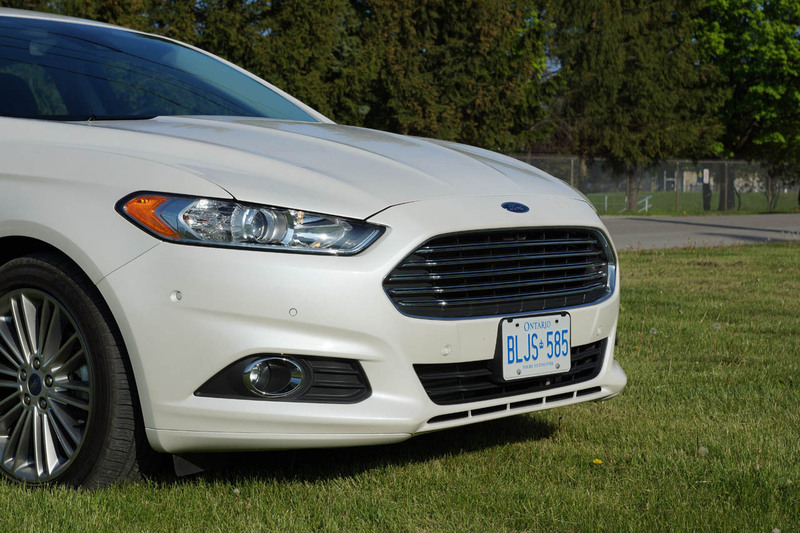 You sure do get a lot of car for the money as the Titanium trim level comes packed with lots of convenience and entertainment features. 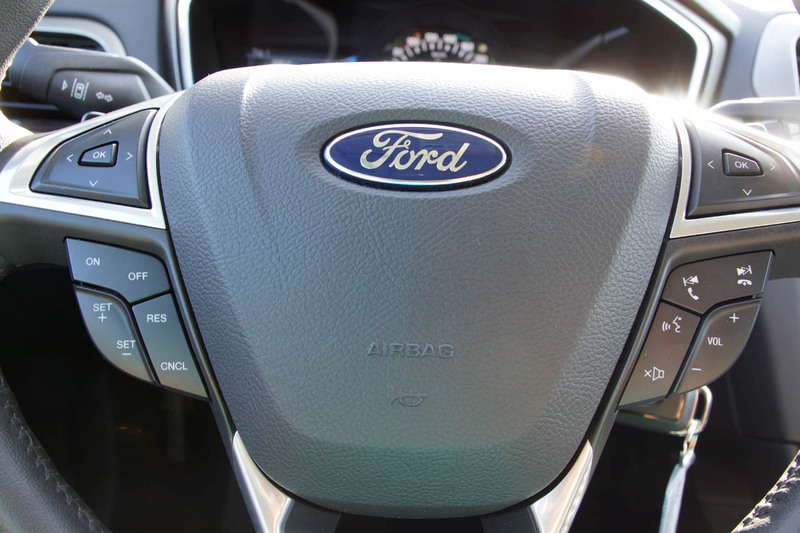 Safety wise you get a ton of airbags, antilock brakes, stability control and there are plenty of driving aids included as well, such as cross traffic warning, lane departure prevention and blind spot monitoring. 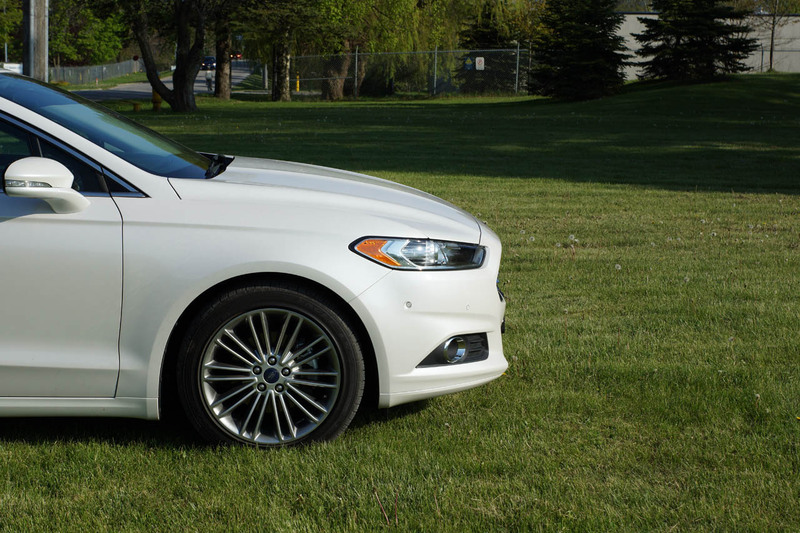 The 2.0lt EcoBoost engine is rated at 230bhp with regular unleaded or 240bhp with premium does pack enough power to justify the choice of replacing the V6. 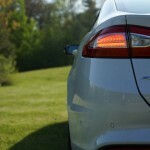 With 250lb-ft of torque, the 2013 Fusion hits the 100km/h mark in 6.8 seconds and does feel fast. 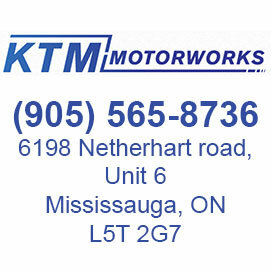 The engine is refined and will only be heard when revved hard as it feels a bit rough close to the red line. Fuel economy is tricky due to the downsized turbo engine, drive it smooth and you will average 9.5lt/100km on a combined circle or get carried away by the sweet torque and you will find yourself averaging around 13lt/100km. 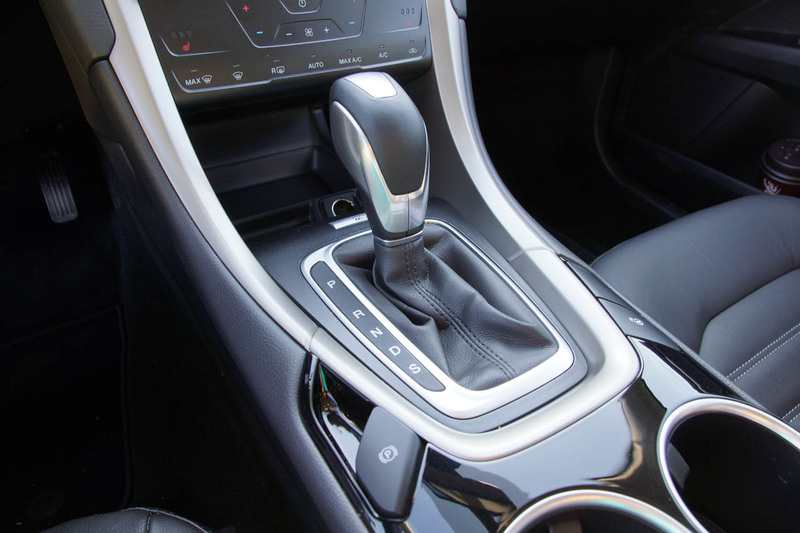 The 6-speed automatic gearbox unfortunately is only average as gear changes in traffic are not the smoothest while kick-down response could be better. 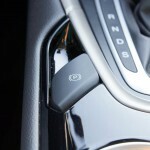 In sport mode thankfully, you can take over using the paddle shifters and things become a lot better. 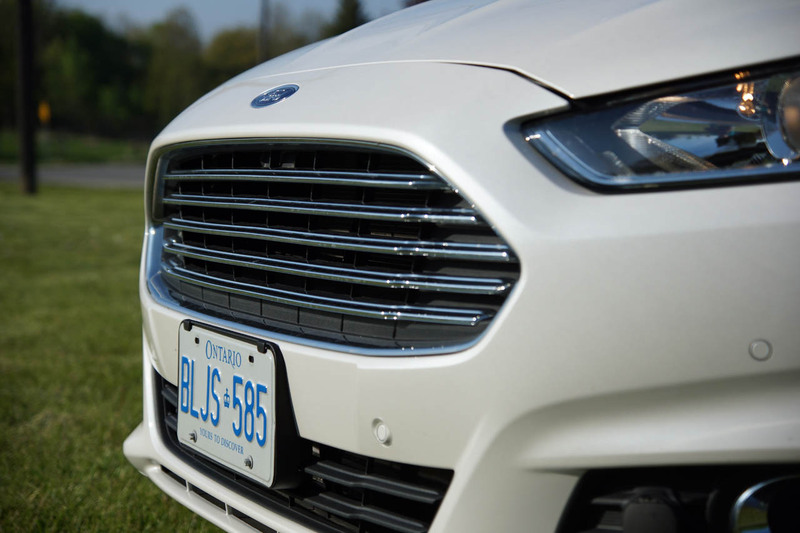 Ford claims the car has been conceived as a driver’s car and on the road that shows. The all-round independent suspension, with MacPherson Struts in the front and a new multilink system in the rear, feels firm over bumps and is definitely tuned towards sport rather than comfort. Not that it is uncomfortable, quite the opposite really. The suspension does a good job absorbing bumps and body control is excellent but you do feel it working hard to achieve that. 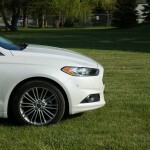 Some really harsh anomalies will shake up the passengers but in a sporty sedan like this one, that is to be expected. 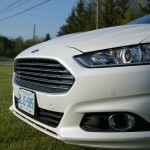 At least when it comes to handling, you can appreciate why the Fusion is not as comfortable as other competitors. 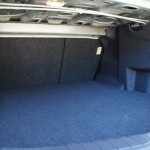 There is minimal body roll, steering is crisp and feedback is amongst the best in class. 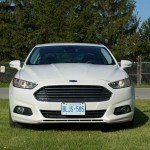 The Fusion despite its large dimensions, feels very agile, turns in razor sharp and is very fun and involving to drive. 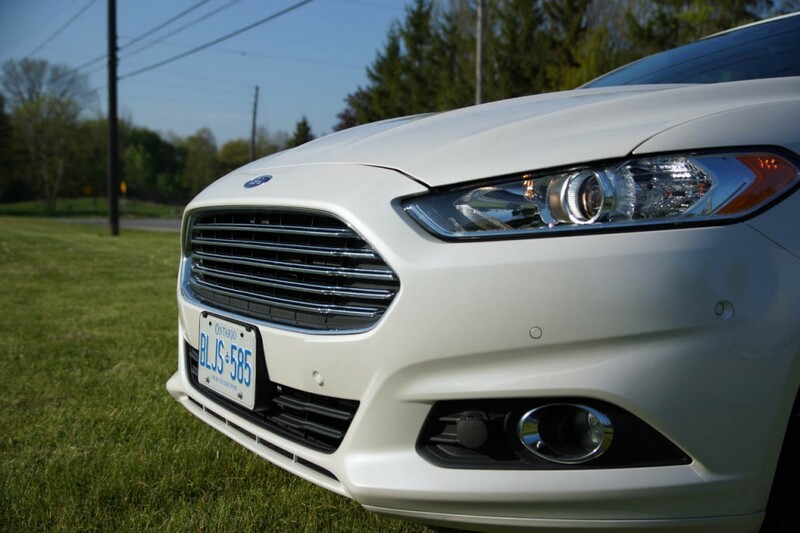 Traction limits are very high and the AWD system works very well and has been tuned to give an over-steer bias to the handling. 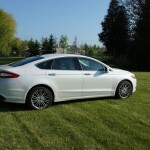 In slippery conditions, the AWD Fusion is very safe and if the stability control could be fully switched off it would have been huge fun as well. 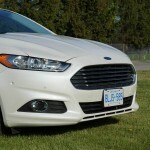 Of course, none of the above would have been any good if the Fusion was not equipped with good brakes. 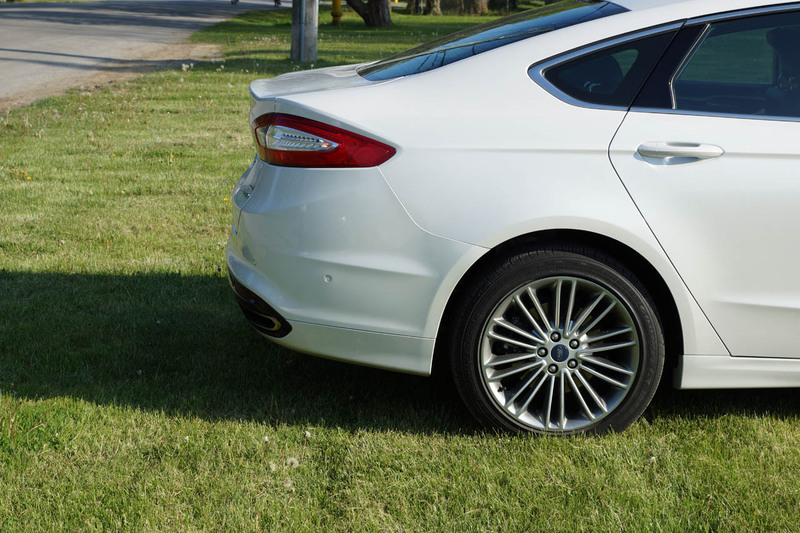 From 100km/h, the Fusion, despite the terrible Goodyear tires, came to a complete stop in 45m showing no brake fade indications. 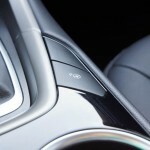 The brake pedal felt crisp and the overall effectiveness was up to par with the superb handling and swift performance. 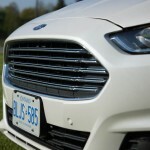 At $38,557 as tested, the 2013 Ford Fusion Titanium AWD might seem a bit pricy but has lots to offer. It drives as good as it looks which is rare in this vehicle category and I am happy to report that I would happily own one. 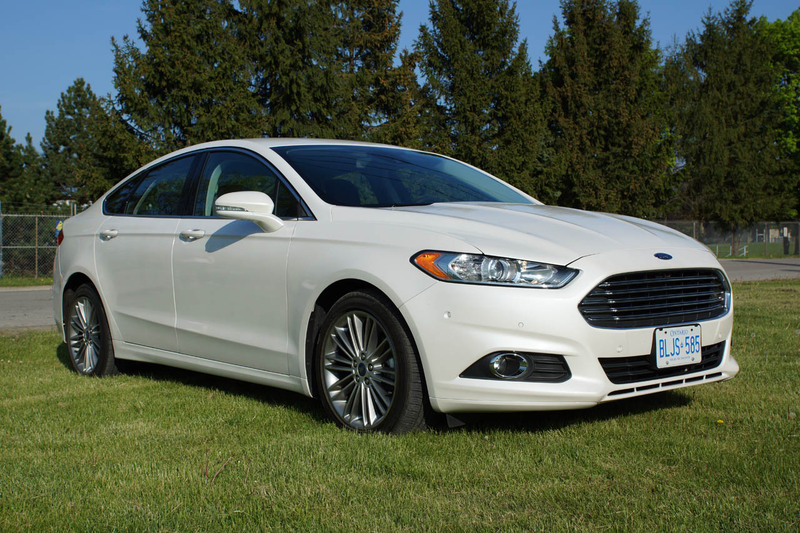 The Fusion is a work of art and drives like one too. Little issues with parking aids cant put it down.